Tick "Yes" means you accept we might change "HASL" to "ENIG" at our discretion without extra charge.Thanks! *For Gerber files, this choice is useless.It will be made according to files as default. We may add extra cost for these special options which will be confirmed after review. Attention please! If you don't note not to add pcb order number on board, we will add it on board by default! We suggest choose to do panel if single PCB qty is more than 20pcs or any side of single board is smaller than 50mm. 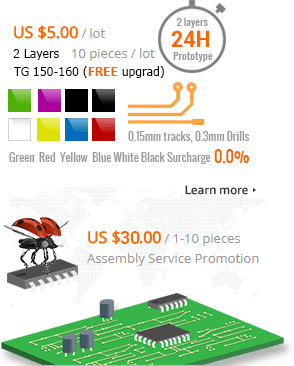 Please fill in total quantity of single PCBs. 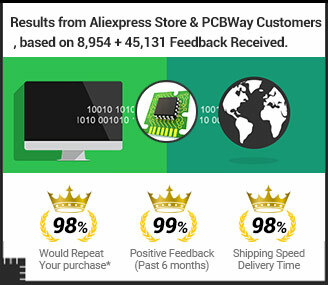 Price does not include PCB fabrication or the cost of components, exact quotation will be updated after all the files you uploaded pass review or contact Service@pcbway.com for help. Payment Method: PCBWay accept Paypal, TT, Western Union, Credit card and other methods. If you order online, you could choose Paypal payment directly. If you want to pay by other method, please contact the customer service to confirm. 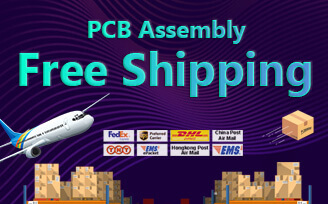 Shipment Method: PCBWay could offer DHL, Fedex, TNT and HongKong Post, E-packet, EMS, Aramex and other more methods. Online payment only support DHL and HongKong Post for the moment. Please contact the customer service to confirm if you need other shipment methods. "Accept Crossed-out Panel" means there will be one or more bad individual board(s) in the panel. If you enter in units of inches and press the [Convert] button, it will be converted into units of millimeters in the quotation form. Please fill in the layer order from top to bottom here. the layers name in your file.